To raise the standard and broaden the appeal of town and city centres between 6pm and 6am – The Evening Economy. 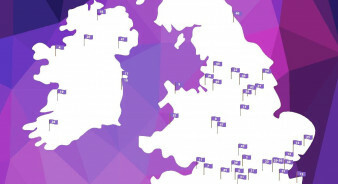 Backed by the Home Office, the Purple Flag scheme aims to raise the standard and broaden the appeal of town and city centres between 6pm and 6am – The Evening Economy. 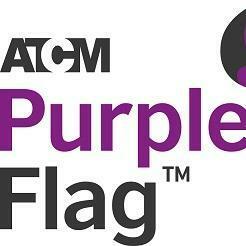 Developed by a team of industry experts since 2003, Purple Flag is a rigorous accreditation process that helps to tackle many prominent issues associated with night time economy management. The scheme, offered by the Association of Town Centre Management (ATCM), recognises excellence in place management in town & city centres at night, setting standards going forward for managing successful evening economies and benchmarking performance. 30 criteria have to be met in order to be awarded a Puple Flag, which include minimum thresholds of decreasing crime statistics, appropriate transport, a vibrant appeal, a stimulating destination and a strong partnership. The initiative aims to improve perceptions of places, address imbalances in activities, retail offer and entertainment, tackle anti-social behaviour, and encourage a diverse evening offer; providing significant recognition for councils and partnerships who deliver key services associated with the night-time economy. The scheme helps drive up standards and replace negative perceptions with positive visions by rewarding well-managed evening and night-time economies. The scheme’s increasing popularity has led to a record number of applications for the latest round following the success of the initial rounds in 2009, which saw the likes of Manchester, Birmingham, Liverpool, Bath, Kingston, Leicester Square, and Covent Garden gain full accreditation. If a town or city centre offers a clean and safe environment, diverse activities, entertainment and retail offer, excellent transport links, and a great nightlife then the Purple Flag award applies, regardless of size or poppation. 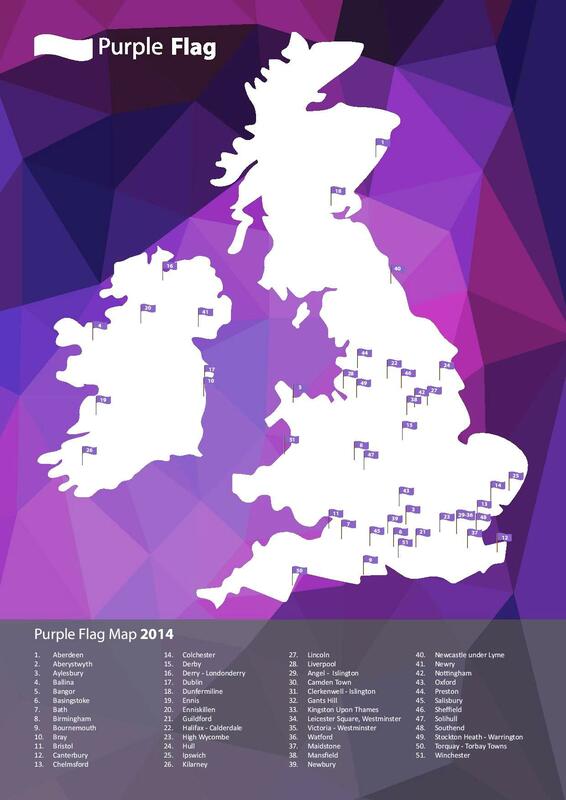 Since the launch in 2012, 70 towns and centres have been awarded a Purple Flag. 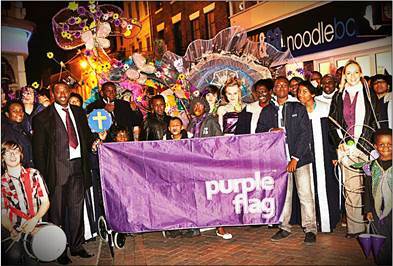 Purple Flag has already had an impact such as changes in policy attitudes and practice, reduced crime and antisocial behaviour, cleaner streets, trained door supervisors, late night transport, and more late night venue openings (not just bars and restaurants but museums, art galleries, libraries and shops to increase diversity of choice). Purple Flag accredited towns and cities have proven that they are welcoming to everyone, offer safe ways for visitors to travel home after dark and provide a good mix of venues. Purple Flag towns and cities benefit from more visitors, lower crime and anti-social behaviour and improved perceptions of centres.